I am often asked what Christmas gifts we will be giving the children. And find it works well for us. Sometimes we might swap something out, and add ‘something to create’ instead. This year Ruby will be receiving the beautiful book The Apple Cake. I’ve often wondered what this book is like, and recently had the chance to look through a copy at a friend’s house. It is super lovely, so I can’t wait to share it with Ruby. She will also receive The Cleo Stories, A Friend and A Pet. We have the other Cleo book and they are delightful and sweet. For something to wear, I was lucky to find a second hand rainbow swirl skirt and leggings on a Waldorf Buy Sell Swap page ~ I know she will love these! 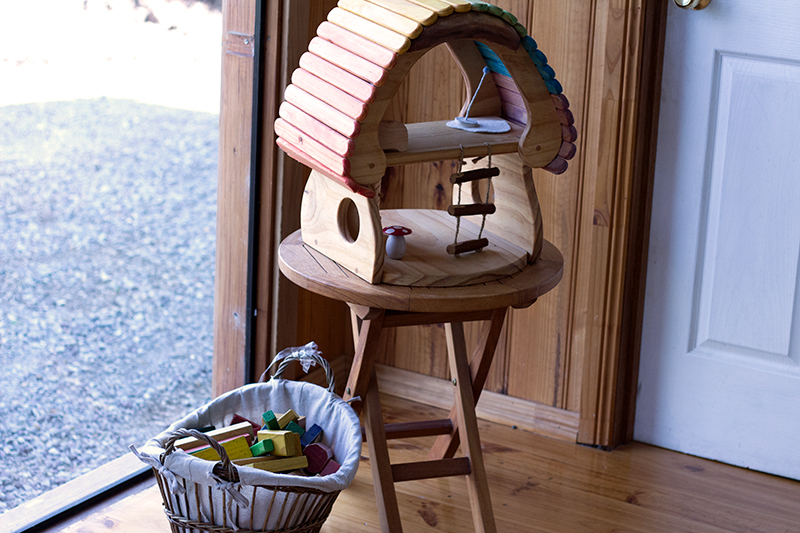 My little Teddy will be receiving this gorgeous rabbit hutch, to go with our trio of sweet rabbits. 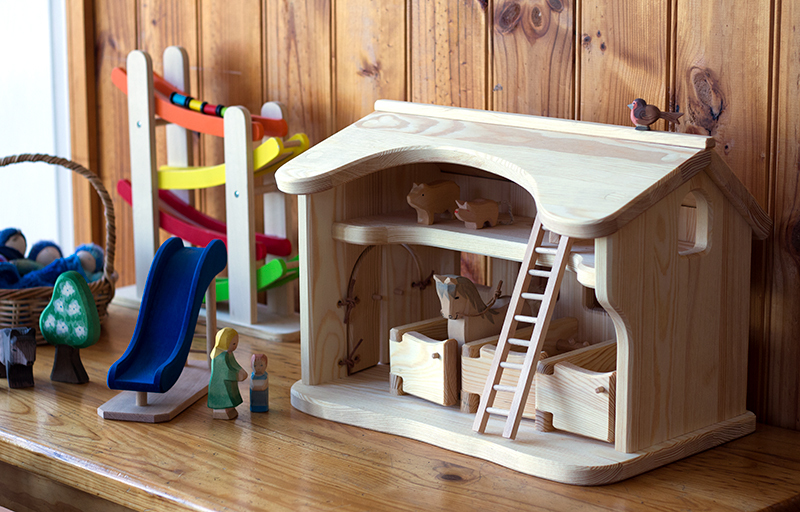 He is very engaged by small world play at the moment, so think he will really love this gift. For something to read, Teddy will receive I Took the Moon for a Walk and Sun Bread. Teddy is very intrigued by the moon and sun at the moment, so these too books should fit the bill! And because I couldn’t resist the handmade horse reins at our local Waldorf Spring Fair, he is getting a set of those too. Max is getting a little trickier to buy for now that he is a bit older. And I would love to give him a carving knife but think we will wait a bit longer for that. He is super into games through, so he will be given Australian Menagerie. As well as some fun face paint from Giotto. For something to read, I picked up a few books second hand that he will love, The Magic Knot from Reg Down and The Boy who knew what the Birds said by Padraic Colum. The lovely angel, and blue and blush red play silks are also for Christmas, they will be part of our Advent journey which I shared about last week. What are your children receiving for Christmas? ??? You can follow along on Facebook and Instagram to see snippets of our days ??? I adore seeing my friend’s Waldorf inspired homes. 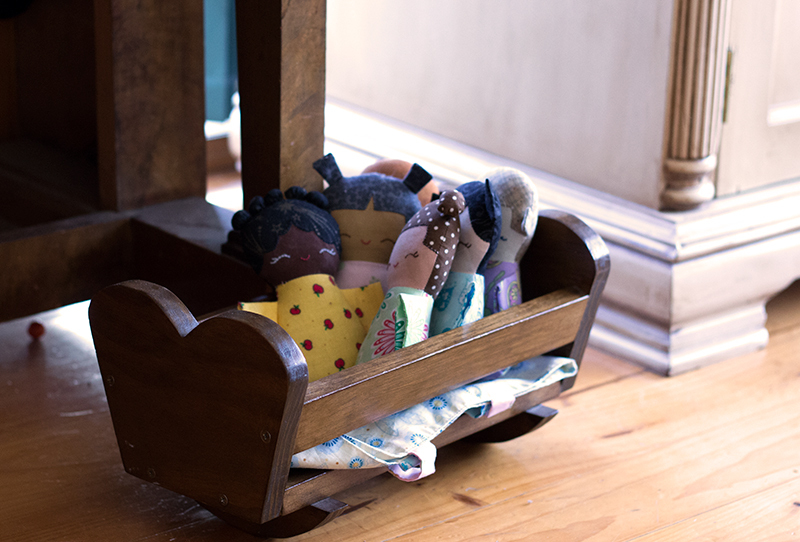 I take such inspiration from the way they have arranged things, their toy choices and the general feel of their space. These lovely photos are from one such friend’s home. My friend lives in a sweet cottage, set back up off the road, with wonderful green paddocks, gum trees and a dam nearby. She has lovely big windows letting light stream through. The first thing I noticed when I visited was the feel of her home. The way it welcomed, warmed and made me feel comfortable. I can imagine her lovely children embraced by their surroundings. Happily playing with their beautiful and simple Waldorf inspired toys. 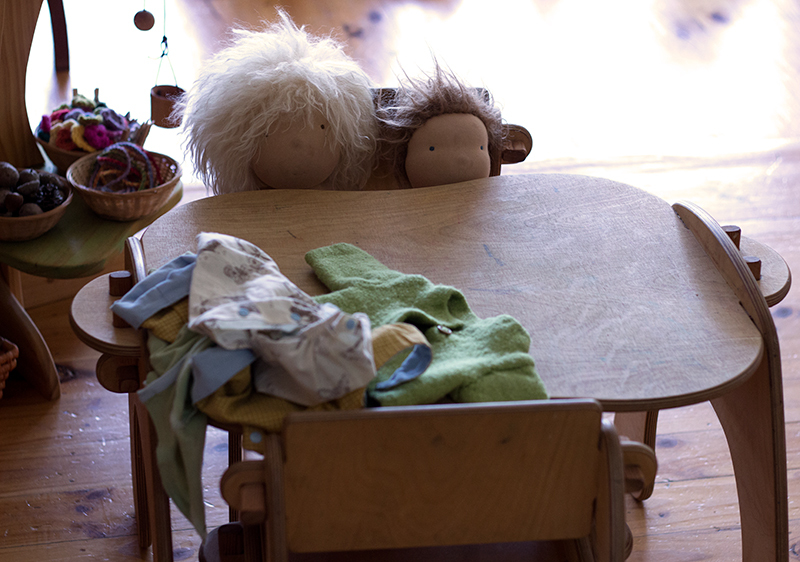 With sunlight gently dancing around them as they cuddle their dolls and make cups of tea at their play kitchen. 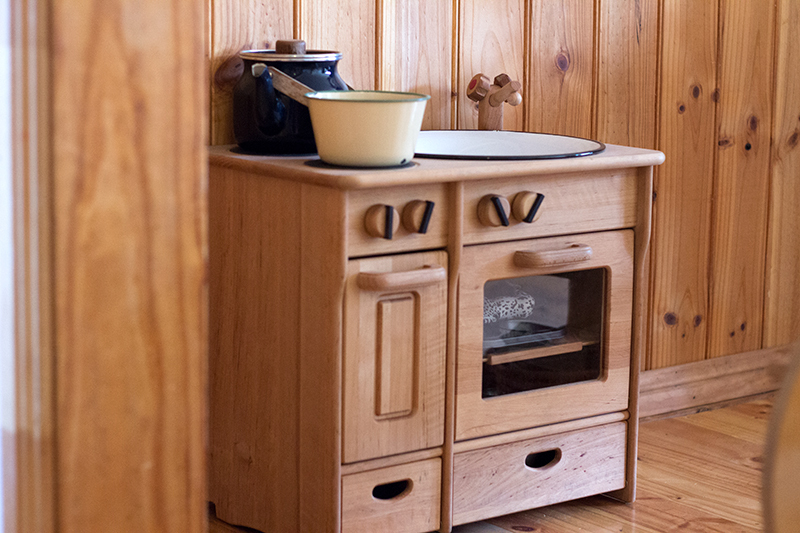 You can see our play kitchen here and some of our Waldorf inspired toys here. ??? And follow along on Facebook and Instagram to see snippets of our days ?? ?